Lovelies! We have a wonderful guest post today from FTD.com on how to make the perfect cheese platter. Cheese platters can be the star of every celebration. From a wine night with the girls to appetizers at Thanksgiving or Christmas, cheese platters are one of these dishes that you always look forward too at your festivities. They have put together the best, most LOVELY tips on how to make yours truly unique and delicious. Your cheese platters will be top notch in no time with these tips. Plus these is tons of cheese platter eye candy too! Cheese is one of those versatile foods that can go with nearly anything. In the form of grilled cheese or macaroni and cheese, it’s the perfect comfort food. On top of pasta, it’s a great garnish. As a cheese platter, it’s the star of the show. The special thing about cheese platters is that the cheese is in its purest form. You can taste its intricate flavors and complement them with sweet and savory accompaniments. A well put together cheese platter isn’t just delicious, it also has a way of elevating an event. But an event isn’t just about the food, it’s also about the ambiance. You can liven up your space and draw attention to your perfect cheese platter with a few well placed bouquets or perhaps a floral centerpiece. The combination of rich cheese and fresh flowers is sure to be an instant hit with your guests. Luckily, just the right flowers are only a phone call or click away, and creating a polished cheese platter is almost as easy. To help you impress your guests next time you host a party, we’ve put together a guide on how to craft a perfect cheese platter. The great thing about cheese is that there are so many textures and flavors. The four main textures of cheese are soft, semi-soft, semi-hard, and hard. The firmness depends on the moisture content and aging time. A good cheese platter includes a different textures and flavors. To ensure a mixture of flavors make sure to include at least one goat, blue, or aged cheese. Also pay attention to the types of milk the cheeses are made from. Choosing cheeses made with different types of milk (e.g. goat, cow, sheep) increases the variety on your platter. You shouldn’t include more than four or five cheeses in your platter as not to overwhelm people’s palettes. If you’re serving cheese as an appetizer, purchase 1 to 2 ounces of cheese per person, plus other accompaniments. If it’s the central food, purchase 3 to 4 ounces of cheese per person. And remember, refrigerating cheese subdues the flavors, so take the cheese out of the fridge an hour before the party starts so it can be served at room temperature. Fresh: Fresh cheeses are made with little processing. The milk is curdled through lactic acid fermentation instead of adding rennet. Unlike most cheeses, fresh cheeses aren’t ripened or fermented. Soft: Soft cheeses are only ripened for a short period of time and are not pressed or cooked. Their moisture content is typically between 50% and 60%. Most of these cheeses have thin skins with creamy centers. Semi-Soft: Semi-soft cheeses are ripened for slightly longer. They are known to have a mild, buttery taste and have a moisture content between 40% and 50%. Semi-Hard: Semi-hard cheeses are uncooked pressed cheeses that are very dense. They are often light yellow, and have much sharper flavors than semi-soft cheeses. Hard: Hard cheeses have been cooked and pressed. Cooking the cheeses at high temperatures tightens the protein bonds, which leads to the firm and sometimes granular texture. Aged cheeses are hard cheeses. Goat: Goat cheeses are made from goat’s milk or a mix of goat’s milk and cow’s milk. Though they are usually considered soft cheeses, they have a very strong, salty flavor, which sets them apart from the rest. Blue Cheese: Blue cheeses aren’t cooked or pressed. They are injected with blue-green mold which causes fermentation to happen from the inside outwards, These cheeses have a crumbly texture and sharp flavor. They are often soft cheeses. A set of cheese knives may seem intimidating at first, but once you know the right way to use them they’ll make slicing your cheese into even, smooth pieces way easier. If you choose to use kitchen knives instead, make sure not to use serrated knives, they leave marks on the cheese preventing it from looking clean cut. When you serve the cheese, make sure each type of cheese has its own knife to prevent the flavors from mixing. 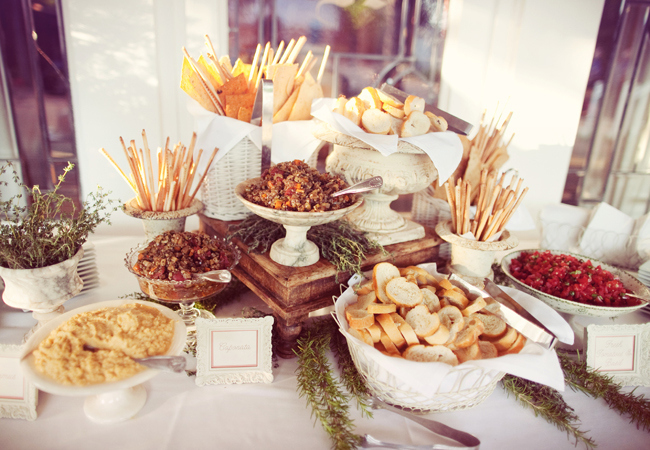 Serving cheese with cheese forks or spreaders also adds a nice touch. Cheese should be cut in different ways depending on its shape and texture. This not only allows guests to receive equal slices of cheese and helps the cheese platter look organized, it also ensures a balanced distribution of flavor between slices of cheese. Cheeses’ flavor is strongest next to the rind. Each cutting method accounts for this by trying to make sure every slice has an equal amount of rind. Though all rinds are edible, some are more palatable than others. Rinds of soft cheeses usually add to and enhance their flavor, while rinds of well-aged cheeses are often hard and unpleasant. If rinds appear brown or dusty grey, they probably won’t taste good. When choosing food to accompany the cheese, make sure that you don’t choose flavors that are too overpowering. These include overly spicy foods, foods with strong garlic or onion flavors, or citrusy, highly acidic foods. A balanced cheese platter should include three to five types of cheese, two to three types of bread, two to three sweet accompaniments, and two to three savory accompaniments. Also include sweet foods like dried or fresh fruit like grapes, figs, pears, apples, or apricots, and jelly, chocolate, and chutney. And savory foods like salami, prosciutto, olives, mustard, sun-dried tomatoes, walnuts, pecans, and almonds. Include bread in a variety of textures – soft baguettes, crunchy crackers, dense, fruited bread. Fruited bread provides a great contrast to salty cheeses like manchego, while more bland breads give the cheese and other accompaniments a platform to stand out. Bitter nuts, like walnuts, pair well with rich cheeses like those made from sheep’s milk and goat’s milk. Common cheeses to pair with walnuts include feta, pecorino, ricotta, and manchego. Sweet nuts like pecans are a great contrast to salty cheeses like havarti and roquefort. Fruit’s sweetness is also a welcome contrast to salty cheeses like goat cheese or blue cheese. Fruit can come in many forms from fresh fruit to jams and chutneys to dried fruit, which tends to be sweeter. Cured meats have strong flavors, which tend to overpower mind cheeses. To combat this pair them with sharp or nutty flavored cheeses. Cured sausages with smoky flavors work well with creamy cheeses that cool the smoky flavor. A general rule for pairings is “if it grows together it goes together,” meaning that items from the same region are probably a good match. Wine and Cheese Party Ideas! Turkey Platter Garnish Ideas! Bread Dipping Bar, 3 ways! Football Party Food!